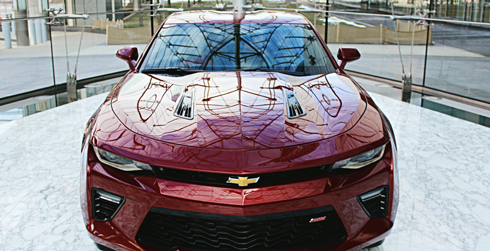 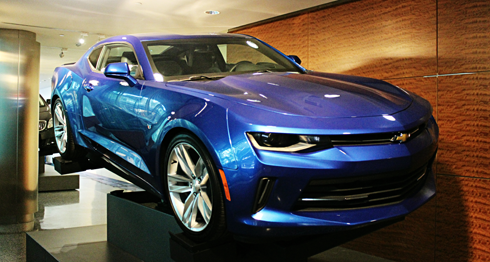 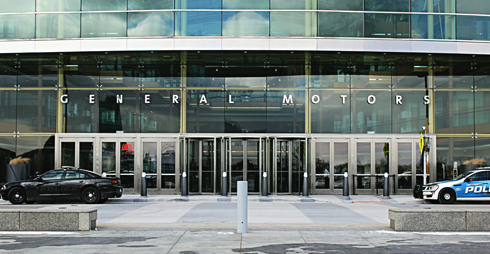 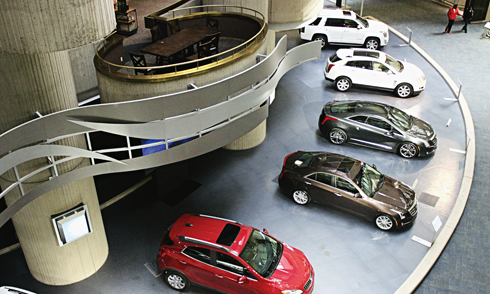 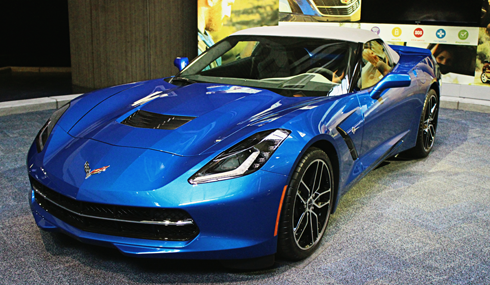 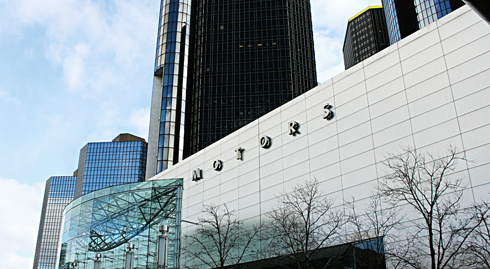 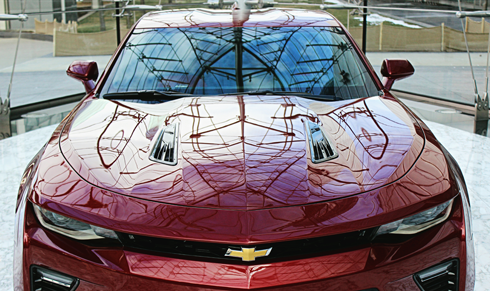 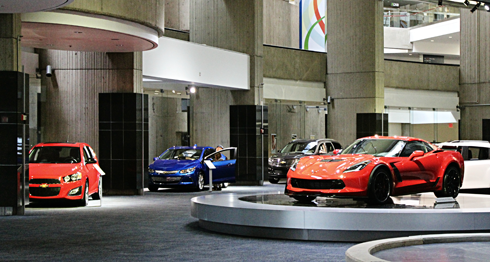 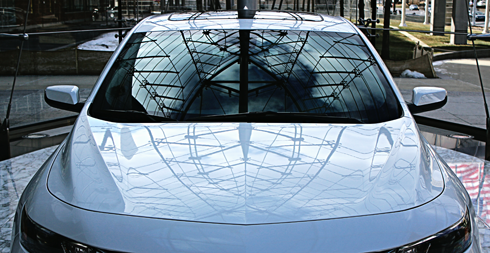 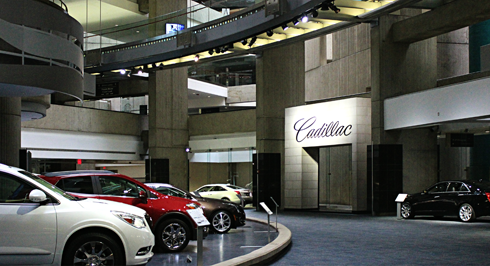 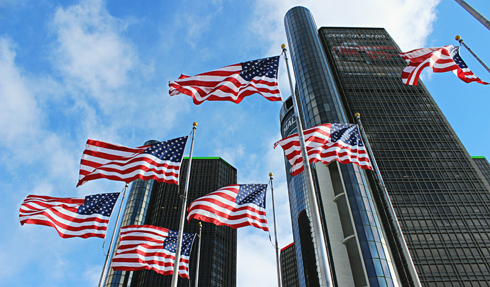 Owned by General Motors, the 5.5 million square foot Renaissance Center in downtown Detroit, Michigan is also GM's world headquarters. 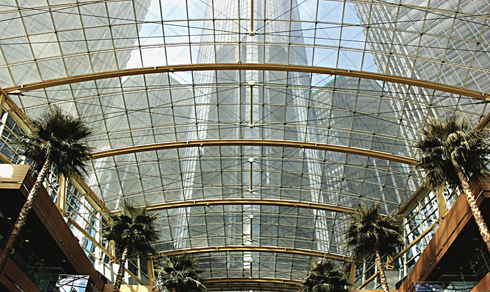 The complex is made up of two connected 21-story offices towers, four 39-story office towers, and a central 73-story hotel that rises out of a massive lobby containing shops, restaurants, and communal space. 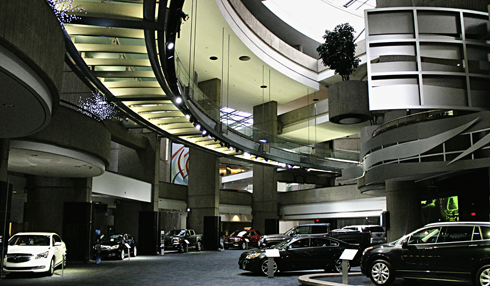 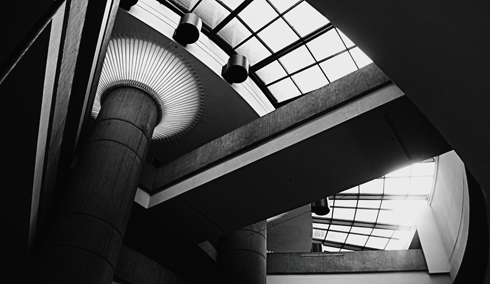 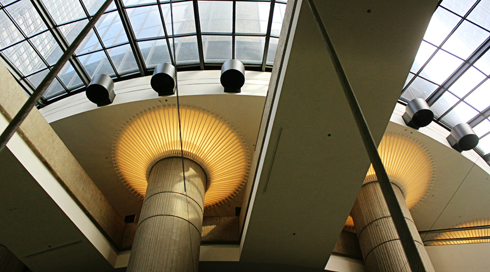 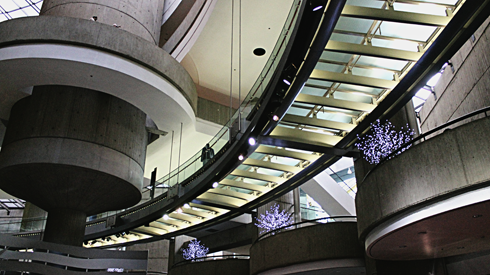 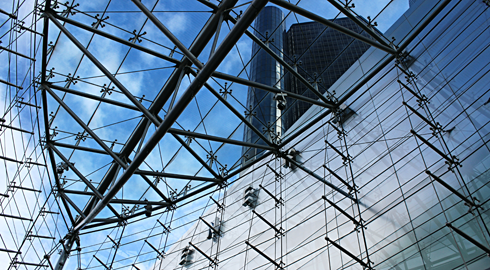 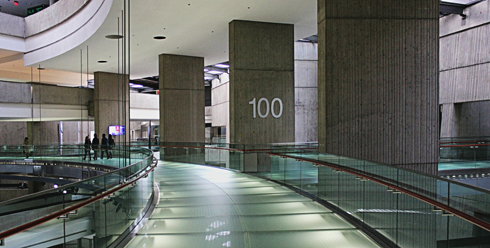 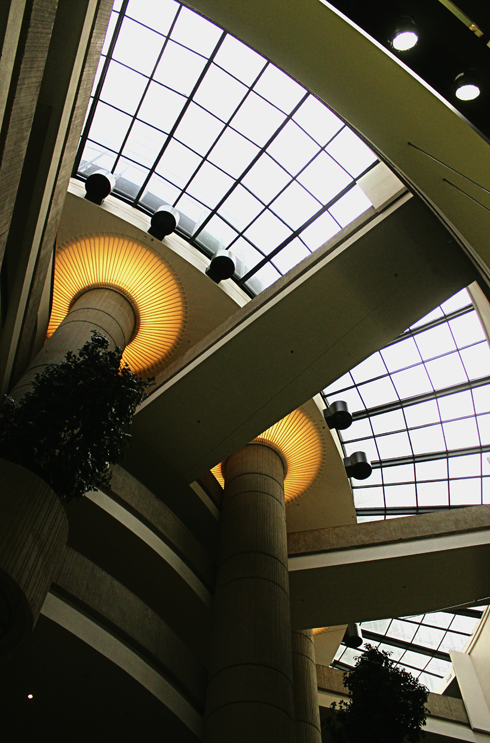 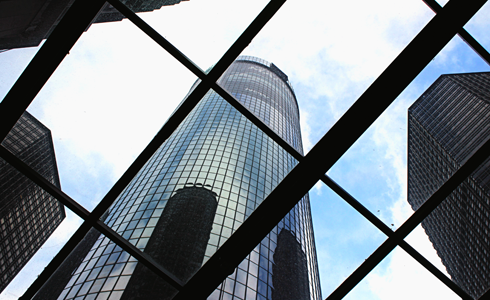 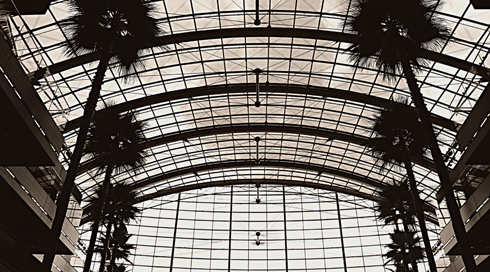 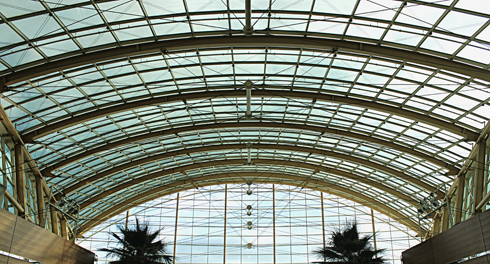 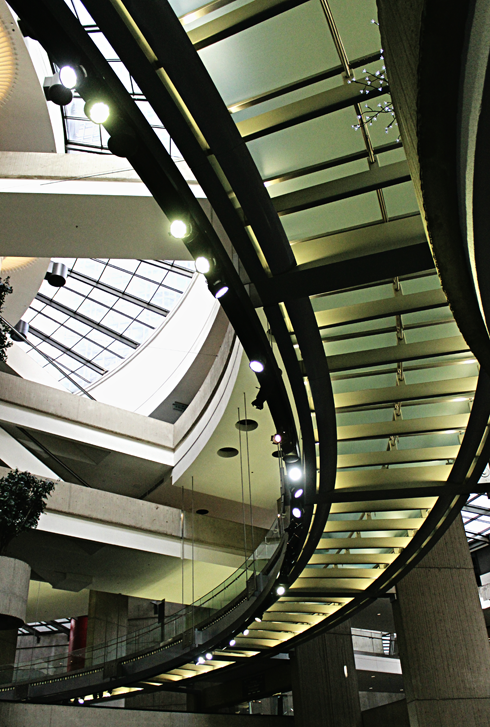 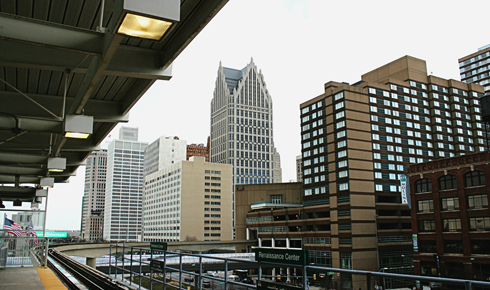 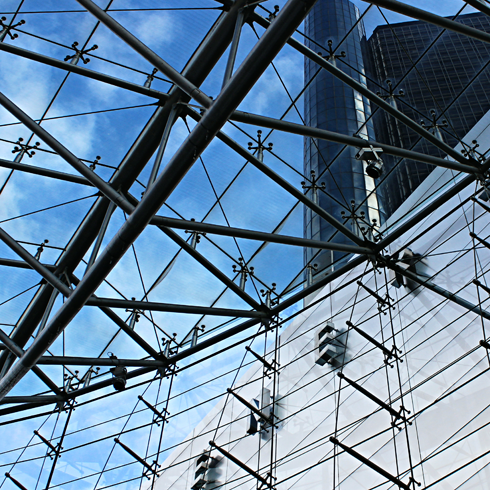 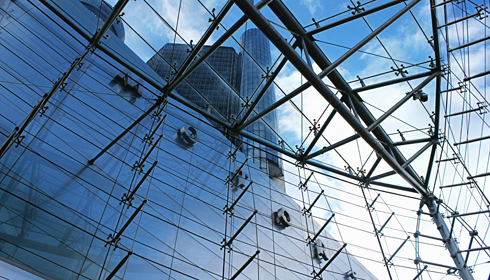 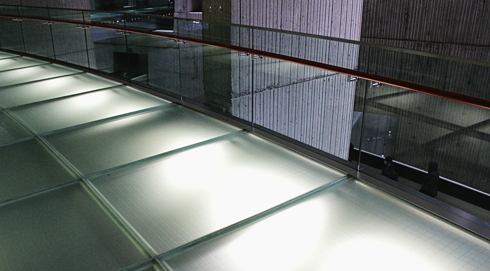 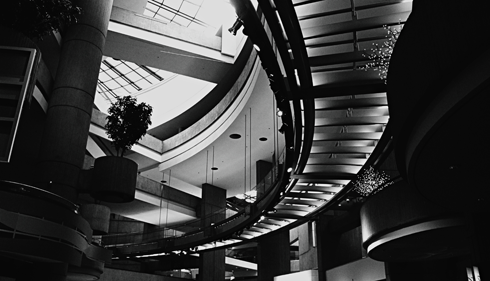 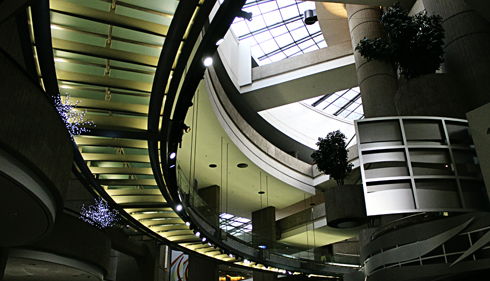 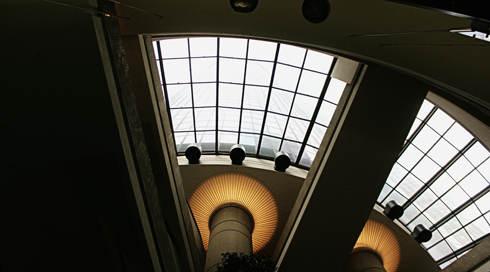 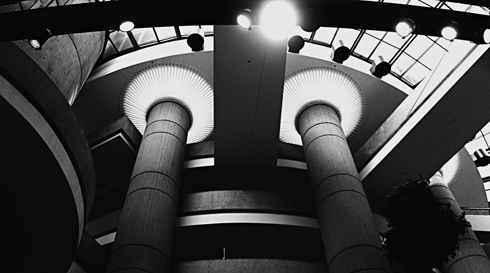 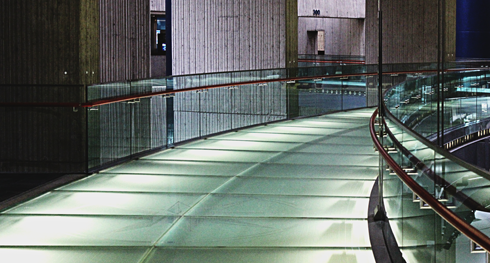 The Renaissance Center is often referred to as a "city within a city" and features elevated walkways, expansive windows, and rounded concrete balconies within a massive eight-story central atrium lobby. 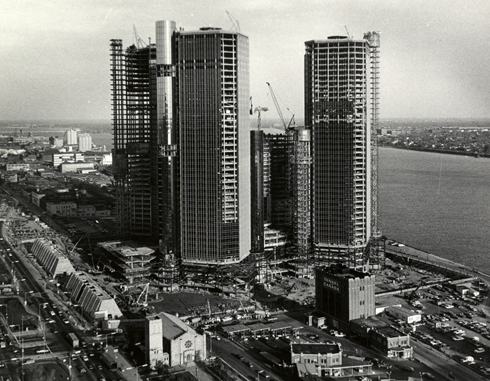 When completed in 1977, the central hotel was the tallest all-hotel building in the world. 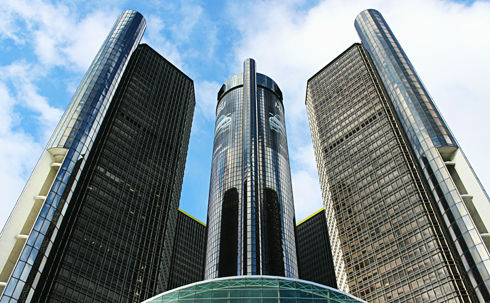 Today it still holds the record as the tallest hotel in the western hemisphere. 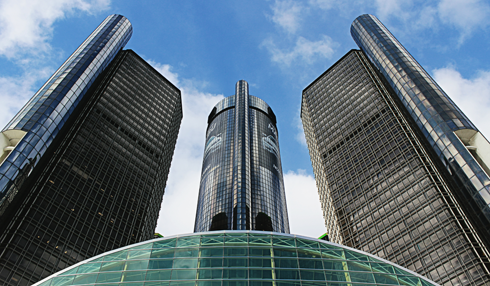 As it stands, the RenCen is clearly the icon of modern downtown Detroit. 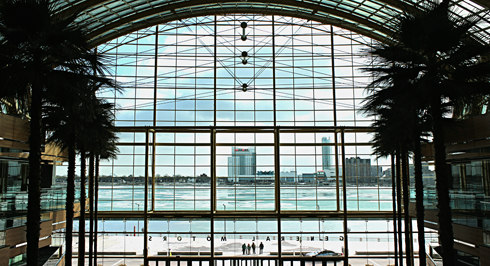 Windsor, Ontario just across the river from Detroit.